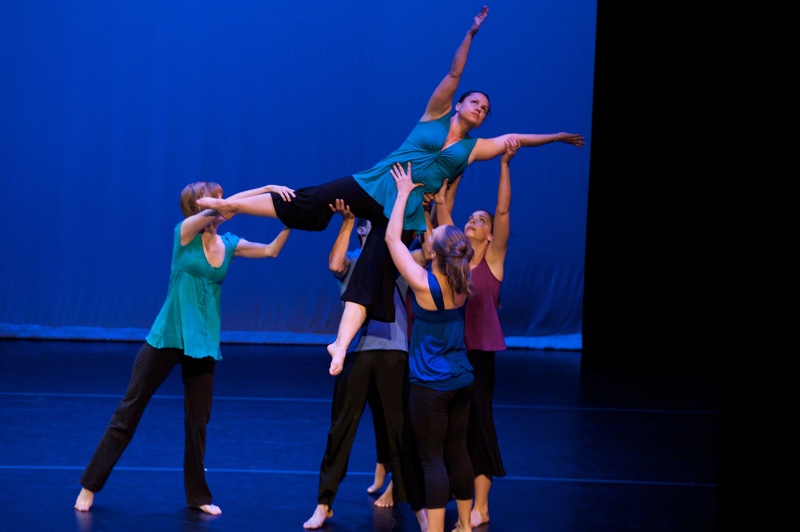 Desert Dance Theatre is a contemporary dance company that was founded in 1979 by four ASU Dance Graduates. 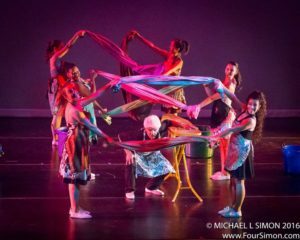 Currently, under the artistic direction of Lisa R. Chow, Renee Davis and Step Raptis, Desert Dance Theatre has an eclectic variety of dances in the current repertory, which range from classical, comical, abstract and theatrical. The company is comprised of experienced performers, choreographers and enthusiastic educators who strive to bring the openness, spontaneity and diversity of dance to the public. The company offers a variety of quality programs to schools and communities that are inspiring, entertaining and educational, including: master classes, lecture demonstrations and performances. Desert Dance Theatre also specializes in theme-related programs that focus on cultural diversity and about the lives of prominent people who have fought for freedom in America through the form of music/dance/dramas. We have completed a trilogy of civil rights productions, “Free At Last,” “Sister Moses: The Story of Harriet Tubman,” and “Judgments,” each of which may be featured along with current repertory. The company has also collaborated with String Sounds (string quartet), touring and performing over a thousand children’s performances in elementary schools since 1985. Through its Guest Choreographer Series, the company also performs commissioned works by choreographers of national and international acclaim. The new works continue to enhance the diversity of the current repertory. Desert Dance Theatre is a nonprofit organization that has received grant awards and support from AlliedSignal, Arizona Commission on the Arts, Arizona Community Foundation, City of Mesa, City of Phoenix, City of Tempe & the Tempe Municipal Arts Commission, COMPAS, East Valley Cultural Foundation, Marshall Fund Foundation, Mervyns, Motorola Foundation & Corporation, National Endowment for the Arts, Pakis Family Foundation, Phoenix Arts Commission, Salt River Project, Scottsdale Cultural Council, Scottsdale League for the Arts, Scottsdale/Arizona Republic, Target Stores, U. S. West Communications and other corporate, public and private sponsors and contributors. Lisa, originally from Greenville, Mississippi, received her Bachelor of Fine Arts in Dance from Arizona State University in 1988. In 1990, she received ASU’s Outstanding Alumna award for “A Tribute to Ethnic Women in the Arts and Sciences.” She has studied many modern dance techniques such as Graham, Horton, Nickolais, Cunningham, and Hawkins. 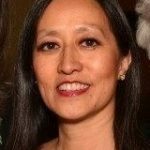 Ms. Chow serves as Desert Dance Theatre’s artistic director, company manager, choreographer, performer and educator, and has toured with the company throughout Arizona, Mexico and neighboring states since 1983. Lisa has choreographed for the company’s repertory and major multi-disciplinary theme-related works as well as for children’s programs in collaboration with String Sounds (String Quartet). She is the co-founder and co-artistic director of Crossroads Performance Group with her husband Step Raptis, performing interdisciplinary music and dance projects throughout the state of Arizona and regionally since 1989. She was the first Vice-President on the board of the Arizona Dance Arts Alliance, and since 2000 has coordinated the Annual Arizona Contemporary Dance Festival, currently called the Arizona Dance Festival. Lisa was a coach/consultant for the “Galef Institute and Different Ways of Knowing” that provides research-based, field-validated school improvement services and products. She has been nominated for the Arizona Governor Arts Award for Arts in Education in 2004 and 2005. She is one of the founders and Vice President of the Arizona Dance Coalition, a newly formed web-based non-profit organization that supports dance resources throughout Arizona. 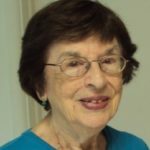 Marion was a Professor Emeritus of Dance at Arizona State University where she was Artistic Director for the Fall and Spring dance concerts. Jones was a member of the Lester Horton Dance Company in NYC and taught at several universities including: Cornell University, Purdue University, University of Rochester, and the Cranbrook Institutions of Michigan. Her studies included intensive work with modern dancers: Martha Graham, Doris Humphrey, Charles Weidman, Hanya Holm, Ted Shawn, and Louis Horst. She received her ballet training at the School of American Ballet with George Balanchine, Anatol Oboukhoff, Pierre Vladimiroff, and Muriel Stewart. 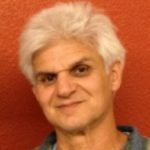 Marion was the Artistic Coordinator for the ARIZONA DANCE SHOWCASE produced at Gammage Center for the Arts in 1982 and 1984, and for the Gala Dance Benefit for AIDS in 1990. She won the Arizona Commission on the Arts Choreographer’s Fellowship Award in 1982, and received special recognition as an artist from the Governor in 1983. In March 1998, she received an Arts Achievement Award from Wayne State University in Detroit. 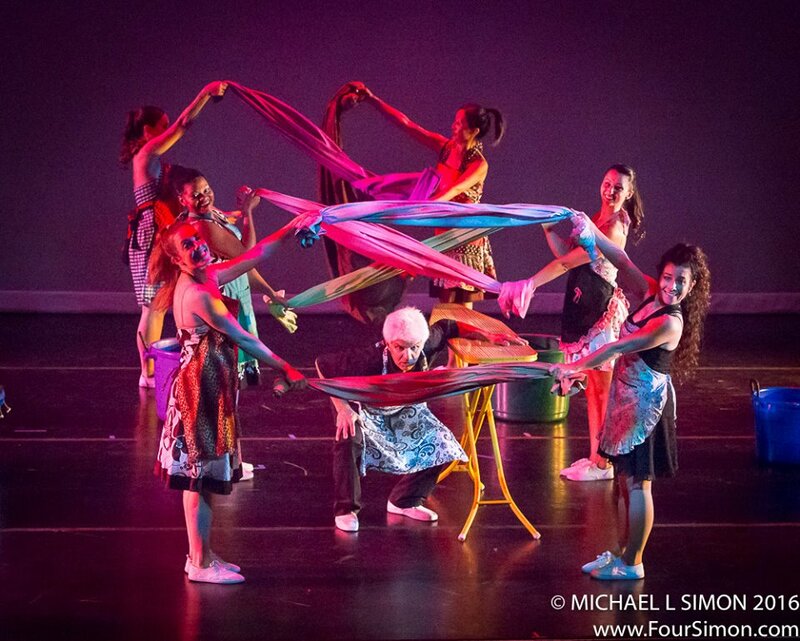 Ms. Jones has choreographed many works for Desert Dance Theatre since its founding in 1979. She became Artistic Director for Desert Dance Theatre in 1988 and shared those responsibilities with Lisa R. Chow and Renee Davis since 1993. In addition to her career in dance, Jones was on the Board of Directors of the Arizona Institute for Peace Education and Research. Renee joined Desert Dance Theatre in 1986. 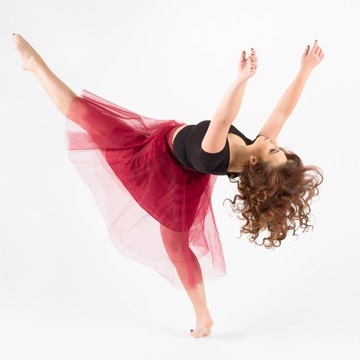 She received her Bachelor of Arts in Dance from the University of Maryland where she performed with Maryland Dance Theatre. Renee has performed with Dancing Plus… at the Nat Horne Musical Theatre in New York City, Murray Spalding Movement Arts in Washington, D.C. and Baltimore Dance Theatre in Baltimore, Maryland. In her 14 years as a Phoenix resident, Renee also performed with Center Dance Ensemble and worked in Head Start classrooms as a teacher and artist supervisor with the Wolf Trap-in-Arizona Project. Her work with Desert Dance Theatre has included choreography and costume design for many productions. 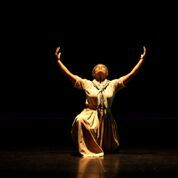 After relocating to Austin in 1998, Renee made her Austin debut in the title role of “Sister Moses: The Story of Harriet Tubman” as she coordinated a tour of Desert Dance Theatre in February of 2000 through funding received by the City of Austin under the auspices of the Austin Arts Commission and the Texas Commission on the Arts. Since then, she produced “Sister Moses” again in 2009 & 2010 and is currently working on performances for 2019. In addition, she served 9 years as Artistic Director/Production Manager for Austin’s annual MLK Keynote Address event in celebration of the birthday of Dr. Martin Luther King, Jr. Step, originally from Detroit, has lived in Toronto, Ottawa, Montreal and New York, where he worked with Le Groupe de la Place Royale, Toronto Dance Theatre, Danny Grossman, Louis Falco, Jennifer Muller and Christopher Hyde. He also worked at Concordia College and N.Y.U.’s Tisch School of Dance. Step has composed several music compositions for Desert Dance Theatre as well as contributing as a choreographer. He resides in Mesa, Arizona with his wife, Lisa Chow. Together they formed Crossroads Performance Group, which integrates music and dance. On the artist roster of the Arizona Commission on the Arts, they provide outreach programs to schools and communities throughout Arizona and the Southwest. They also provide outreach programs to at-risk populations for the Scottsdale Cultural Council. The Scottsdale Cultural Council honored Raptis and Chow with the Chairman’s Circle Arts Award 2000 for Artists/Educators of the Year. Step also received the Teen Spirit Award from Motivating the Teen Spirit and Empowering the Human Spirit Foundation. Raptis is currently a member of the world music ensemble, Meadowlark. Step’s Junk Funk debuted at the Arizona Dance Festival in January 2006.